This personalised hand painted wooden boy's name door sign would be a great gift for a young boy. 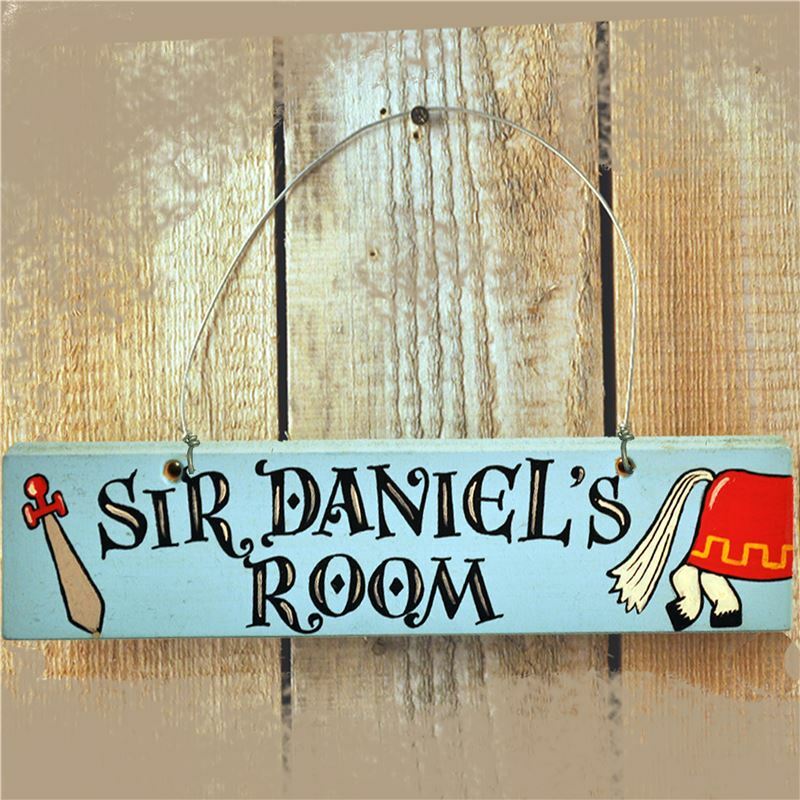 The sign is painted blue, with illustrations of a knight's horse and sword, with the name of your choice included. Our artists will create a unique gift just for you, please let us know the name you wish to include when you place your order.